The first third of the month favors the seeking and satiating of experiences, Gemini, while the last two weeks of February channels what’s been learnt among friends, and allows you to step back as you raise your profile. The month opens with a sweet alignment between Lady Venus and electric Uranus in your relationship and community sectors, Twinstar. You’re likely in an exciting time of life, with great momentum in partnership and social circles. Allow the stars to enhance your interactions further, by injecting your enthusiasm and unique ideas into the fold. With the new moon on the 4th (at 9.04 pm GMT) comes the opportunity to consider a broader set of ideals, as the sun and moon meet alongside your special ruler, genius Mercury. Whatever mediums or experiences you’re now enjoying – especially those that heighten your knowledge and worldview – can make for the foundations of a terrific quest or project. Consider a fresh approach to digital publishing, writing or broadcasting, connecting with foreigners, or those abroad. Embrace all you hope to gain by the 10th, when your attention turns towards your public profile and career path. On the 14th, ardent Mars leaves your community and company zone with a bang, turning inward towards the area of seclusion and dreams, to bring a certain story full circle in the weeks ahead. The energizing powers of the red hot planet can now help clean out the closet of your psyche – or bring you solitude to tend to any practical matters. By the 19th you’re keen to focus on your professional goals and ambitious streak more resolutely, as Pisces Season signifies your time to be seen and step into your position at large. Before you get comfortable at the board table, Gemini, the spotlight shines on home. The full moon (February 19th at 3.54 pm GMT) lights up domestic life, emotional ties, your sense of security and rootedness. At this point you’ll notice a very different mood than that at the beginning of the month, and it’s likely you’ll be in a more introverted space, physically and mentally. Wednesday the 20th through to Friday the 22nd are a delicate time to navigate personal relationships, as messenger Mercury makes ties with both Saturn and Jupiter, favoring serious sentiments, modesty and understated connections. 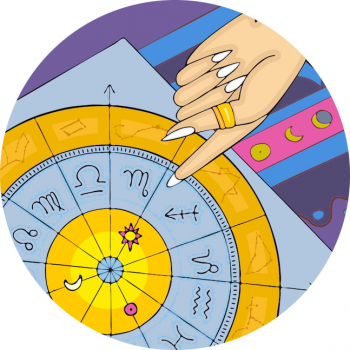 The last week of the February puts a great emphasis on relationships, and you may have to uphold some pretty strong boundaries with a business collaborator or person you’re involved with romantically. Allow the shifts to transition you onto a positive new plateau, reserving the 23rd for any heavy conversations that need to be had.